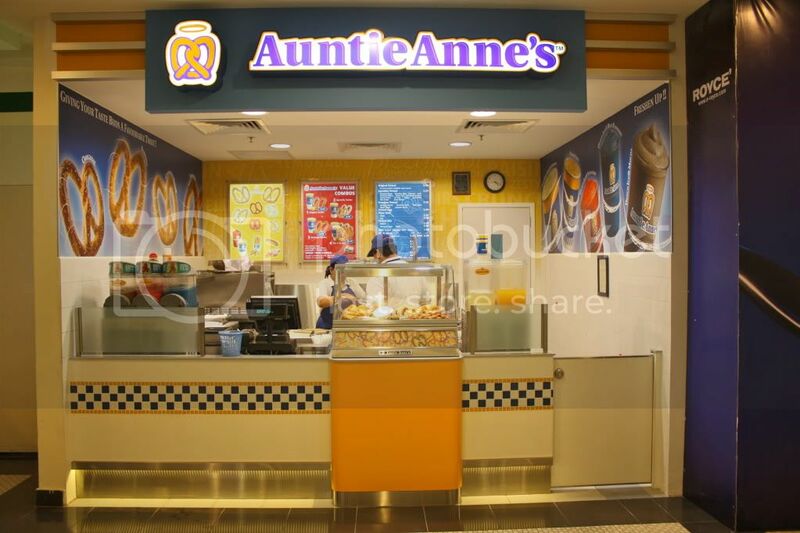 Auntie Anne's has more than 300 franchisees with more than 1,200 locations in the United States and more than 23 countries globally. The chain started as a market stand in the Downingtown, Pennsylvania Farmer's Market. In the same year, Auntie Anne's expanded to eight locations in the state of Pennsylvania, after the first bakery opened in Harrisburg. The first mall location was the Park City Center in Lancaster, Pennsylvania, in 1989. By 1990, the bakery chain spread to nine other states with 50 locations. 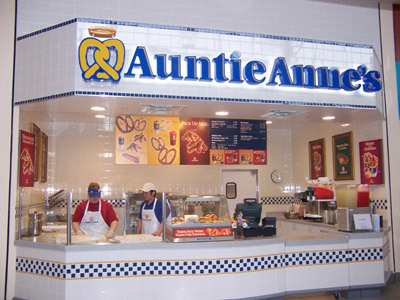 In 1992, the first Auntie Anne's airport location opened at the Pittsburgh International Airport. The year 1995 brought its first train station store at Penn Station in New York City. By 2005, there were 887 bakeries in 45 states and twelve countries.